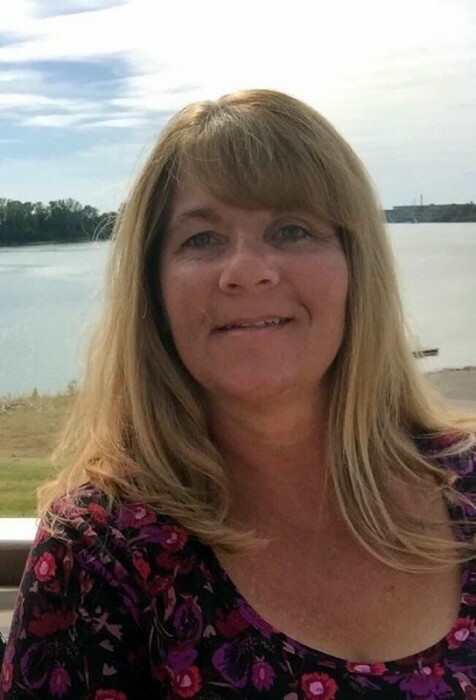 Julie D. Walker 46 of Mount Vernon, IN passed away peacefully surrounded by her family on Thursday July 5, 2018 at the Linda E. White Hospice in Evansville. She was born March 3, 1972 in Evansville, the daughter of David L. and Frances M. (Goodwin) Walker. Julie had worked as a meat cutter for Wesselmans for 17 years. She loved her son and her family more than anything in the world. She attended One Life and the Mt. Vernon Baptist Church. She is survived by her son, Mark D. Gray; her brother, John Walker of Evansville; sisters, Connie (Ron) McIntire of Mt. Vernon, Debbie (Rob) Goodwin of Daytona Beach, FL and Kimberly (Brian) Reinitz; nieces and nephews, Stephen and John McIntire, Kayecee Carter, Robbie Goodwin, Justin, Kayelee, and David Walker, Jessica Anselman, Michea Wittenbraker and Payton Powers; many great nieces and nephew, aunts, uncles and cousins also survive. She is also survived by a special friend Chawn Essary.